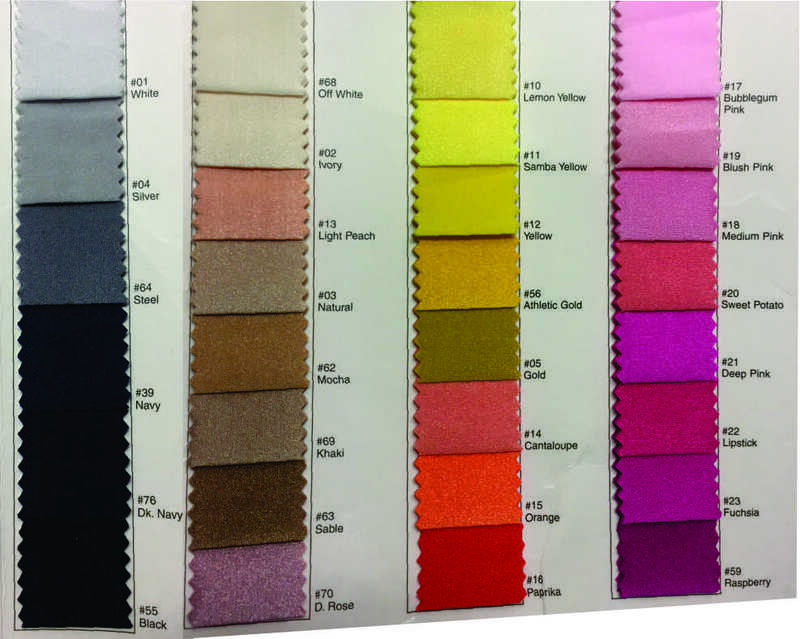 Our standard fabrics: premium luxury spandex velvet, serpentine sequin, and the lycra/net choices are USUALLY available at all times. But ALL fabrics may be temporarily unavailable at some point. Contact us if you are looking for a color or style not offered and we can check availability. BUDGET CHOICE: STRETCH PANNE VELVET - Custom fitted dress on a budget. This fabric is a bit thinner and less durable and tends to stretch in length as you wear it. 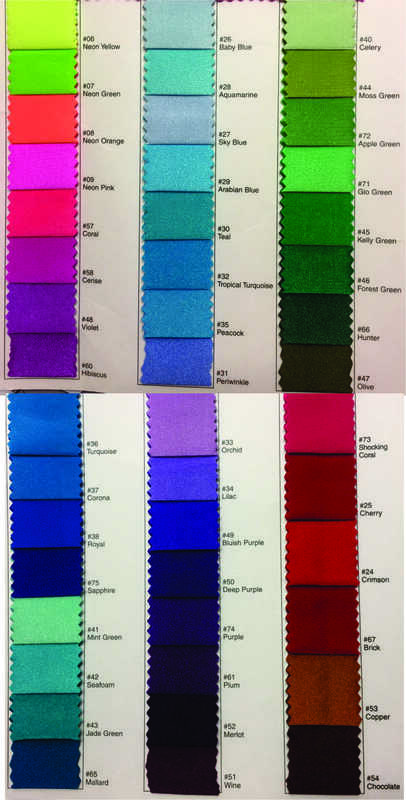 PREMIUM CHOICE: SPANDEX LUXURY VELVET - Our preferred velvet for professional costuming. A bit thicker and dimensionally stable. Luxurious. EXOTIC CHOICE: SERPENTINE SEWN 2mm SEQUIN FABRIC - Fine 2mm sequin sewn on spandex shows the complete flashiness of a fully embellished gown while avoiding the bulky look on body that fully sequinned fabrics tend to have. These sequins are sewn (and not fused) to the fabric to give you premium wear over time regardless of how active a dancer you are.